Posted on : March 31, 2016, By: Tom Kokonowski, Esq. Massachusetts has largely decriminalized the possession of marijuana that is believed to be for personal use. However, it’s important to understand the laws surrounding the possession of less than one ounce of cannabis so you know where you stand if you’re caught, especially if you are a minor. Here’s what you need to know. In January of 2009, the state of Massachusetts decriminalized the possession of less than one ounce of marijuana and made it a civil offense. This means that if you are stopped by a law enforcement officer and are in the possession of less than one ounce of cannabis believed to be for personal use, you will be issued a ticket and be required to pay a fine of $100, much like a traffic ticket. If you are under the age of 18 and are caught with less than one ounce of marijuana, you will not be issued a ticket or a fine, but will be required to complete a drug education class within one year of your citation. If you fail to complete the class, you will be responsible for a $1,000 fine. In some cases, a minor’s parents may be held responsible for paying the fine. Although the possession of marijuana in an amount less than one ounce has been decriminalized, there are still harsh penalties if law enforcement officers believe that you are possessing the marijuana with the intent to sell it. The first offense of possession of any amount of cannabis that is less than 50 pounds with the intent to sell is punishable by up to two years in prison and a fine of $5,000. A second offense is punishable by between 1-2.5 years in prison and a fine of $10,000. Even if you are in possession of just a few grams of marijuana, if the police believe that you have the intent to sell it, you could be charged with this more serious offense. 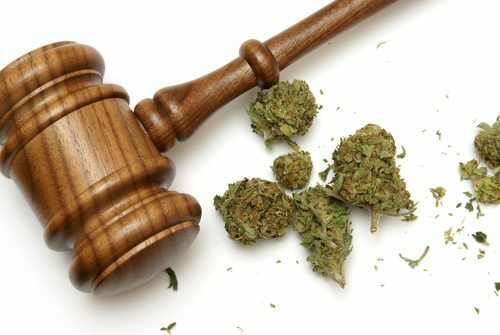 If you have been caught with marijuana, even if you only received a civil citation for the offense, it is critical that you discuss your rights and legal options with an experienced drug crimes attorney. Contact the Law Offices of Tom Kokonowski, Esq. today to discuss your needs by calling (413) 585-9200 or (413) 549-0022.